A most beautifully written book, which two hours after finishing has left me emotionally drained! It fluctuates between laughing at some superbly funny situations and phrases, to crying at some very sad and poignant moments. Amazing Grace makes you do so much soul searching, so much thinking about not only Graces life but your own life too. Her unstinting love for her son, and her Mum was so very heart warming. The relationships she builds are superb especially with her ‘fella’. I’m sure many women could relate to her treatment by her ex! 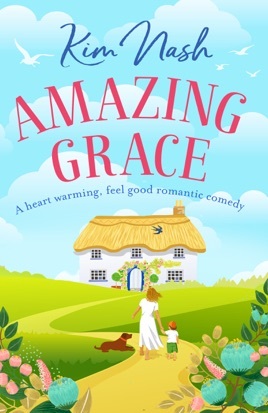 The book is funny and after reading several sentences I wanted to say ‘well said Grace’. So much she says and does you want to applaud! The author should be oozing pride at such a wonderful storyline in a beautifully written book. An outstanding debut as an author.